The WRC bandwagon heads north for a midsummer's adventure over the famous jumps of Rally Finland. Citroën Total Abu Dhabi WRT has entered three C3 WRCs in the land of a thousand lakes for Kris Meeke/Paul Nagle, Craig Breen/Scott Martin and Khalid Al Qassimi/Chris Patterson. Created in 1951, the ‘Jyväskylä Grand Prix’ quickly changed its name to the ‘1,000 Lakes Rally’ and acquired its international reputation. 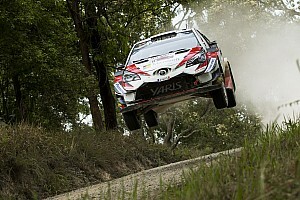 Part of the World Championship calendar since the WRC was first held in 1973, the rally has gained popular appeal thanks to its famous jumps, which provide some of the season's most spectacular images. Rally Finland is held on gravel roads normally used by the inhabitants of the Jyväskylä region. Winding through the forests, the fast, wide tracks flow over the surrounding hills, making for what initially appear to be gently rising and falling roads. But when the World Rally Cars come racing past at full speed, they fly through the air over tens of metres! Hundreds of thousands of fans flock to the event, delighted to witness this fascinating sight. In order to go fast in Finland, you have to know how to ‘read’ the jumps, judge the distance covered, the landing position and the approach to the next jump. 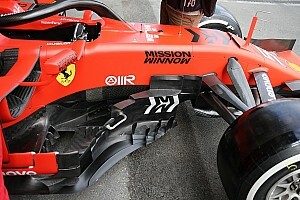 It is hardly surprising, therefore, that this race was long the preserve of Finnish and Swedish drivers. Since Didier Auriol won in1992, only five other non-Nordic drivers have finished first in Jyväskylä: Sébastien Loeb, Carlos Sainz, Markko Martin, Sébastien Ogier and Kris Meeke. The itinerary of the 2017 rally will be relatively similar the one used in previous years. Following a short stage on Thursday evening, the competitors will tackle a monster of a leg on Friday, contesting twelve stages in fifteen hours! Saturday's schedule is almost as packed, with eight stages including runs on the brand new Pihlajakoski stage and the iconic Ouninpohja. The race concludes on Sunday with a sprint-like final leg featuring four short speed tests, including the Power Stage. For the ninth of the thirteen rounds in the World Championship, Citroën Total Abu Dhabi WRT has entered three cars for crews that also raced in Finland last season. Obviously, all eyes will be on Kris Meeke and Paul Nagle, who won here in 2016 in what was the fastest ever rally in the history of the WRC. 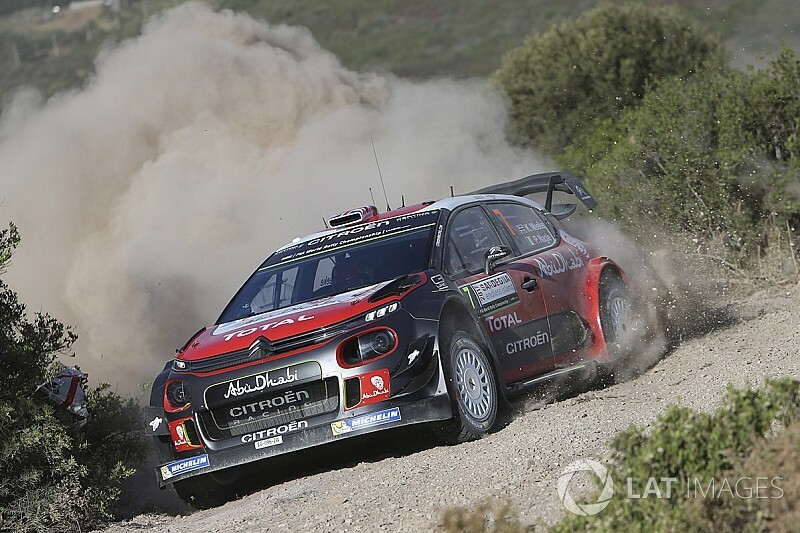 Fast on all surfaces – with overall victory in Mexico and stage wins at several rallies – the no.7 C3 WRC crew will need to find the balance between speed and control if they are to mix it with the leaders. This will be Kris' tenth appearance in Finland, one of the rallies where he has the most experience. The 2016 Rally Finland also saw Craig Breen and Scott Martin score their first WRC podium. The driver of the no.9 C3 WRC is therefore eager to compete at this event, which is one of his favourites. Fifth in Monte-Carlo, Sweden, Corsica and Portugal, Craig has established some solid foundations this season, which will help him to keep making progress among the elite of world rallying. Like Kris, Craig has plenty of experience at this rally, since this will be his eighth outing here. The line-up of C3 WRCs nominated to score points will be completed by Khalid Al Qassimi and Chris Patterson. The Abu Dhabi will be taking part in his second rally this season. On one of his favourite surfaces, he will be looking to add to his experience as he attempts to match his best performance in Finland, obtained in 2009 when he finished in ninth place. In order to prepare for this event and experience conditions close to those the crews will face on the stages, Citroën Racing is currently conducting five days of testing in the Jyväskylä region. 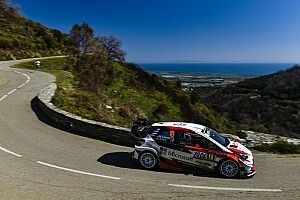 Kris Meeke, Craig Breen and Khalid Al Qassimi are taking it in turns behind the wheel of the C3 WRC. After a short break, they will begin recce for the rally next Tuesday. "With several hundred thousand spectators lining the roads and a very well organised event, Rally Finland is one of the highlights of the season. It is also extremely difficult to perform at your best level at such a specific event. This is true for the crews, the teams and the cars: everything has to work in perfect harmony if you are to have a chance of being among the frontrunners. With Kris Meeke and Craig Breen, first and third respectively last year, we have drivers who are experienced and fast at this event. In Finland, they will be driving C3 WRCs fitted with the upgrades introduced at Rally Poland. We are still in the process of optimising these new features and the test sessions held this week are intended to help us to adapt the set-up to the Finnish stages. Our targets remain quite conservative and are tied to the racing conditions that we actually end up facing over the weekend." "Rally Finland has always been one of my favourite events, but it became even more special after my win here last year. You have some of the best gravel roads in the world here and it can be an awful lot of fun drive on them. I'm pleased to be back behind the wheel of the C3 WRC, although I'm expecting it to be a tough rally. Our test sessions were mostly held in the rain and with cool temperatures. It looks likely that we'll have similar conditions for the rally, so my being tenth in the running order won't be an advantage if the roads are covered in mud! Whatever happens, we'll do our very best to secure a good result for the team." "This rally is one of the ones where I feel most comfortable. I have very fond memories of last year's rally, where I secured my first World Championship podium. After a frustrating Rally Poland, I can't wait to get started here and will be aiming for a good result. After four fifth-place finishes, obviously, I'd like to go one or more better. We'll just have to wait and see whether or not the racing conditions enable us to fight at the front. I'm also pleased to have the latest upgrades on the Citroën C3 WRC." 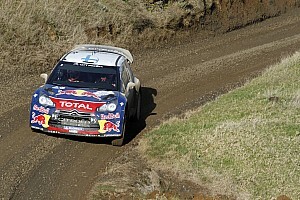 "Finland is an extremely fast rally and the jumps can be difficult to negotiate. My aim will be to maintain a good pace in the C3 WRC. We'll need to work well during recce, in order to have precise pace notes. My day of testing gave me the chance to re-familiarise myself with the quick roads here, and discover the latest upgrades made to the car. I would like to wish Kris and Craig the best of luck and hope that they can once again secure the best result possible."